Our premium chauffeured service expands in Russia and starts with its stunning capital of Moscow. 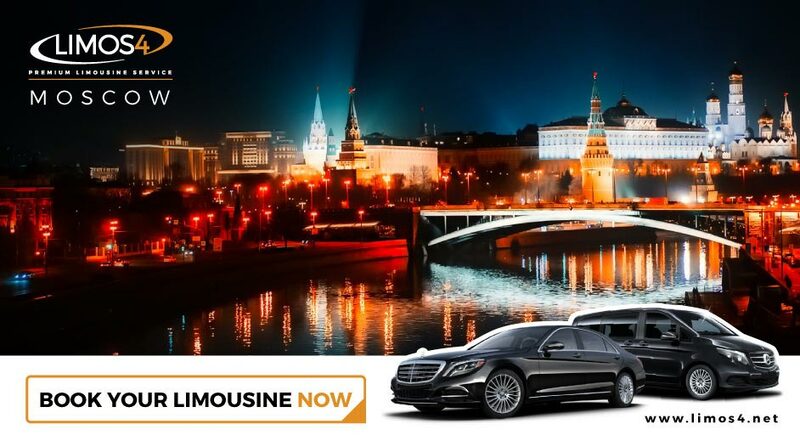 Limos4 Moscow is glad to provide you with a comfortable, safe and stress-free way of getting around one of the world’s largest cities. Whether you need an airport or river cruise port transfer, an hourly service for your meetings or shopping, or guided sightseeing tours of its iconic landmarks, we can make it possible. Our chauffeurs and vehicles are a cut above the rest. You can choose from our various car classes at fixed prices, including all taxes, and no hidden costs. With our professional and knowledgeable drivers undergoing rigorous checks, your journey will be an experience you will long remember. We at Limos4 Moscow limousine service are at your disposal 7/365 for your diverse chauffeured transportation require-ments in the financial and political center of Russia.